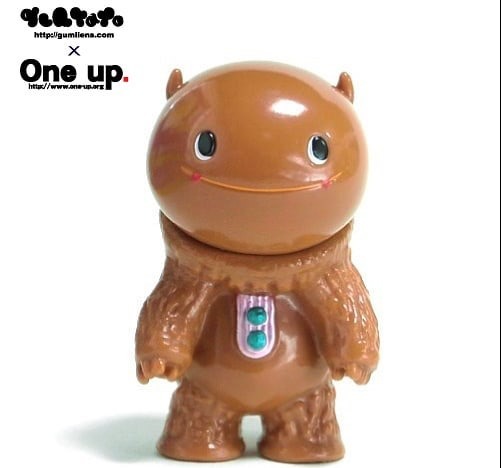 One up is offering Gumtaro's popular Chikuwan alien explorer sofubi in a new Milk Chocolate edition for overseas collectors (outside of Japan) for ¥3500 (~$32) via email lottery until Sunday (2.10) at 7 PM PST. To enter for a chance to purchase, drop an email to [email protected] with a subject of [Chikuwan milk chocolate color Sale Lottery ] and include your Full Name, Country, Address, Phone Number and Your Instagram Name. The Milk Chocolate edition will also be available at WonderFestival Winter (2.10) in booth 4-03-04.